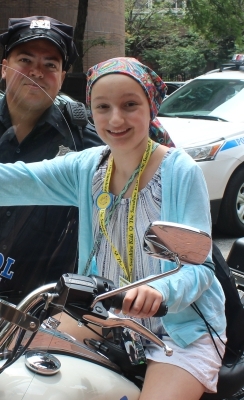 Each year, young cancer patients are selected to represent Kids with cancer from across the country. We salute our SpokesKids for their support and commitment to the Sunshine Kids Foundation. I’m Jordyn Knott and I am 14 years old. I was diagnosed with Acute Lymphoblastic Leukemia (ALL) in August of 2017 on the first day of my 8th grade year. When I heard the doctors say you have cancer, a bunch of mixed emotions went through my body. It was not easy for the first couple of months but as time went on, life kind of went back to normal (well, as normal as it could). Every Wednesday I had to drive down to Fargo and get chemo. At this point in my treatment I started to lose my hair, which was very hard for me because I loved my long, beautiful, thick hair. As time went on, all my hair was gone, I got a wig which I thought looked nothing like my real hair but everyone said it did. I think they were just trying to make me feel better. Eventually I became more comfortable with my wig and it started to feel and look like normal to me. I enjoy spending my summers at the lake swimming, tubing and riding golf carts. I love to be outside any chance I get, which isn’t very much in North Dakota. When I get the opportunity, I love to roller blade, ride my bike and play fetch with my dog. I love to be with my family and friends any chance I get. I also love to play cards with my family even though it can get a little intense. In March of 2018 we thought I was going to be in maintenance, so we were planning to go on a trip to get me out of North Dakota. That next week I went into the clinic to get chemo and they were showing me my next road map, it said that I had chemo every Wednesday in March. So that meant no trip, I was so mad; all I wanted to do was go on a trip. A few months later I was at the clinic getting chemo when a Child Life Specialist came down and asked me if I have ever heard of the Sunshine Kids Foundation. I hadn’t heard of them before, but she said that they were wondering if I wanted to go on a trip. When she said trip, I thought she meant like a field trip, then I asked where and she said New York City. I was so excited! I have always wanted to go to New York City and see the sites. This was also my first plane ride ever, so the night before I left, I didn’t sleep at all! My trip with the Sunshine Kids to New York was an amazing experience and I met a ton of awesome people along the way. When the Sunshine Kids reached out again and asked if I would want to be a SpokesKid for 2019 it was a no brainer. I am so happy to be able to represent the Sunshine Kids Foundation! My name is Charlotte Phillips. I’m 18 years old and from Atlanta, Georgia. On April 20th, 2018, I was diagnosed with Stage 2 Hodgkin’s Lymphoma. I had been healthy all my life until this. I started gaining weight and was more tired than usual. I was on Spring Break when my feet and legs started swelling. We went to the ER and I was diagnosed initially with Nephrotic Syndrome, a kidney ailment. They said since my kidneys were not working properly, I was retaining fluid, hence the swelling. However, they also found a golf ball sized lump on the right side of my neck. A few days later, I had a biopsy of both my neck lymph node and my kidneys. My kidneys were fine, but the lymph nodes in my neck came back positive for Hodgkin’s lymphoma. When I heard my diagnosis, I was in shock. I felt like this couldn’t be happening to me. It was the cruelest twist of fate; I had spent at least one week each summer since I was in 7th grade on weeklong retreats serving families who were living through childhood cancer. I was now one of those kids I had been serving and loving on for 5 years. I underwent 4 rounds of extremely intensive chemotherapy. I spent the summer of 2018 either in a hospital bed or my bed at home. I didn’t get to go out much at all since I had a suppressed immune system. I became close with my nurses and I truly did love everyone at my hospital. But every other teenager I knew got to go on summer vacations, go to baseball games, go to amusement parks, etc. I couldn’t do any of that. During the 4th of July recess, everyone in America was out watching fireworks, yet I watched them from my hospital window. My cancer journey was beyond rough. Thankfully, I had a wonderful support system by my side during my entire treatment. Shortly after I finished treatment, my mom got a call from The Sunshine Kids asking if I would like to attend the Teen Chicago Getaway. We immediately said yes. 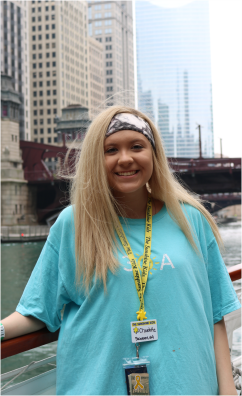 I had never been to Chicago and I was so beyond excited to meet other kids who would get what I went through. It was a once in a lifetime experience. I also had the opportunity to go on the Florida Fun-N-Sun Celebration. These two trips impacted me in more ways than I can even explain. I got to meet kids who understood exactly what I was going through. We got to just have fun and be kids. The Foundation and BHHS go above and beyond for all the kids. I had so many moments that I wanted to stay in forever. I met people that I facetime every single day, and have even visited since our trip, who will be lifelong friends. I’m so incredibly thankful for everything that Sunshine Kids has done for me. They gave me back something that cancer had taken: they allowed me to be me again. Because of the love of this Foundation, I am determined to make my journey my mission. I’m so honored to be a Spokeskid. I hope I can show other kids that “cancer doesn’t define you,” and I hope to spread the love and positivity of Sunshine Kids. The next several months to follow were the toughest days of my life. The treatment process included high and intense doses of chemotherapy for 8 to 10 months. I was in the hospital more times than at home. Some lead me to Pediatric ICU, being the top priority of 40 other patients. In addition to being in and out of the hospital, I was not to be able to finish my 6th-grade year and enjoy my summer break. The doctors said that my best chance at survival was a Bone Marrow Transplant, so the process began to find a match. Luckily 2 out of my 3 brothers were a match! That was extremely rare to hear news like that, but I am forever grateful because it saved my life. I am now a little over 4 years cancer free! Unfortunately, I wasn’t able to go back to school until 8th grade because my immune system was so weak. When I did finally come back, the kids in my class weren’t the kind of people I saw myself hanging out with anymore. I felt isolated because they used the excuse of “you’re too sick to hang out with us” or “you were gone so you don’t get the jokes we are saying”. Freshman year was a new start. I didn’t go to school with anyone I knew and I wasn’t labeled the “cancer girl”. That’s when The Sunshine Kids contacted my mom and told us about the trips, they put together with the help of Berkshire Hathaway HomeServices. When hearing about it I could not be more thrilled to go and find people who understood the struggles I went through. Not only was I invited to the one in 2016 and 2017, but also recently the one in September of 2018. That last trip I met some of the best people and felt my happiest. You could share your struggles and just be a kid again doing activities you missed out on when being sick. The trips this foundation puts on are life changing. With their help, I now have an outlet. It is an honor and a privilege to be a Sunshine Kids Spokeskid. With this opportunity, I hope to change the live of many kids just like these trips have done for me. Thank you, Sunshine Kids and all of their sponsors, for allowing me to feel like myself again. My name is Julius Ragin III, and I am from Summerton, South Carolina. Everyone calls me PJ. I am the youngest of four children; I have three older sisters to be exact. If I am being honest, it does have its perks. If you ask them, they would probably say that they “spoil” me, but I take it as “being cared for properly.” I am 16 years old and a sophomore in high school. When it comes to hobbies, I have a list that never ends. My hobbies include: singing, dancing, acting, playing video games with my friends, hanging out with my little cousins and spending time with my parents and siblings. In April of 2014, I developed an unusual cough. Being born with asthma, we thought this was normal, just another cold. My family and I took many actions such as breathing treatments, medicine, etc. to make sure the cough went away. For some odd reason, it never did. One morning, I woke up with the most awful pain in my face. This was when we knew something had to be done. After a combination of blood tests, I was sent to the hospital for further testing. The morning of May 1, 2014, at the age of 11, I was diagnosed with Acute Lymphoblastic Leukemia. I was really active in my community and church, before getting sick. Just one year prior to my diagnosis, I joined a local recreation baseball team in my county. I never knew that I could love a sport so much. I had great coaches and got to play with awesome teammates. I had so much fun that I just could not wait to do it again the upcoming year. I had plans to do several things afterwards. As an 11-year-old I never thought that this sickness could happen to me. Little did I know that my life would change so drastically. All of a sudden it became a cycle of various medicines that had to be taken daily. I endured lots of nausea, headaches, hospital visits for numerous procedures and chemotherapy, along with emergency admissions due to high fevers. My immune system was so low that I had to wear a mask out in public. I could not attend school for the first year of treatment, due to my counts being so low. I missed my friends and doing everyday normal things that we often take for granted. Fast-forward, it is by the grace of God, He saw me through 3 ½ years of chemotherapy treatment and I am cancer free. My first encounter with the Sunshine Kids Foundation was in 2018. I attended the California Fun-Time Fantasy trip and that was the best week of my life. Not only did I meet a great selection of stars and went to various studios, restaurants, beaches and fun parks such as Disney World, but I met other teens that went through the same thing as me and we have become quite close. I enjoyed the awesome Sunshine Kids staff as well. It was an honor to sing a couple of songs for the group. I felt like a star myself. After the trip, I came up with my life motto, “Slap that smile on before talking to me.” This motto was created when it finally dawned on me, that when you have a smile on your face at all times, you get through rough times easier and you also influence the people around you. I carry my smile wherever I go and to be honest, it comes naturally. Spending your life sad or down, just is not worth it. Slap that smile on your face and keep pushing! I would just like to say with all my heart, I am so honored to represent the Sunshine Kids Foundation as a Spokeskid for 2019. I am excited for the road ahead of me. I will not let you down! My name is Lainey Sayre. I am 14 years old and I live with my family in Phoenix, Arizona. In February of 2018, after a transphenoidal brain biopsy, I was diagnosed with a germinoma brain tumor. This was following 3 years of countless doctors’ visits and scans every 6 months because of several pituitary deficiencies that occurred out of the blue starting in February of 2015. After being diagnosed with cancer, I was told that I would go through 4 cycles of chemotherapy and 5 weeks of cranio-spinal radiation. The first question I asked the doctors was if I would lose my hair, already fearing the answer. As devastating as it was at the time, I quickly realized that my bald head was the easiest part of this entire experience. I had lows that included an allergic reaction to chemo and crippling anxiety in radiation. I will never forget the tough days following chemo infusion and the smell of radiation, but I will also never forget the love and support of my family, friends, nurses and doctors who carried me through this experience. I was in between chemo and radiation when I got the news about the Sunshine Kids trip opportunity. I had the best feeling about it, one I can’t really explain, and I knew it was something I had to do. I had missed so many trips and camp opportunities with friends because of my health problems and being able to go on a trip with kids like me, who understood me, with a trusted nurse, and without my parents was both a little scary and an absolute dream come true. To share that experience with kids my age that understood what I had been through made me feel “normal” and independent, and that meant everything. I was lucky enough to go on the California Fun-Time Fantasy trip in September of 2018. We were treated to so many amazing experiences that included Disneyland, Universal Studios, Los Angeles Police Department, Warner Bros. Studios, Parties, Hollywood, and Malibu! We met caring celebrities and dedicated volunteers that had planned every detail for our fun and enjoyment. I loved every minute of my trip and I cherish the friendships I made. We had an instant unspoken connection with each other that I will never forget. As a SpokesKid I want to share with those that make these trips possible how truly impactful they are. Cancer makes you have to say “No” to so many things and the Sunshine Kids Foundation is one gigantic “Yes!” I am honored to represent such an amazing organization and look forward to being there to welcome future Sunshine Kids and share with them that my Sunshine Kids trip was, without a doubt, the best week of my life and I know that their experience will bring them just as much joy! Good day! My name is Leroy Baker. I am 18 years old and am originally from Jamaica. My friends would tell you that I am very outgoing and love putting a smile on people’s faces. Like most kids my age, I enjoy spending my free time by hanging out with my friends, going to the pool, and sleeping in. 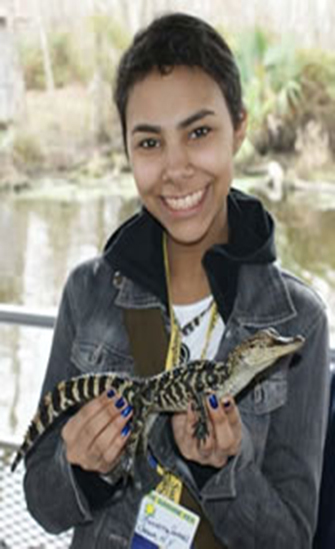 I’ve always had a passion for learning about and being around all different kinds of animals. I currently attend high school and have a natural affinity for biology. I hope one day that can lead to a career as a veterinarian. On January 23, 2016 I moved to Texas from Jamaica to undergo treatment at Texas Children’s Hospital in Houston. There I was diagnosed with a malignant tumor, known as osteosarcoma. I underwent 19 rounds of chemotherapy and endured 7 surgeries. Spending this time in and out of the hospital away from my family was difficult, but I was determined to stay strong and not forget who I was. I remember laying in my hospital bed, looking out my window, and reminding myself, ‘Love and happiness can overcome pain and sadness.’ This was the phrase that played like a broken record over and over in my head as I continued to fight this disease. It was during this time at Texas Children’s Hospital that I was first introduced to the Sunshine Kids Foundation. On my first event with the Sunshine Kids, we went to meet the Houston Texans football team and participate in Training Camp drills. While there I was able to get to know and hang out with other kids who were going through a similar struggle that I was. It made me feel better to know not only that there was an organization looking out for people like me, but that I was not alone. After that, I was hooked. 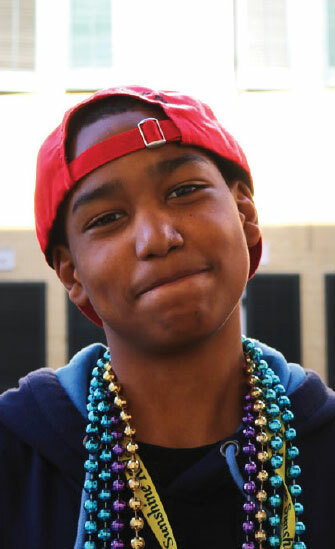 I went from staying local to attending my first big trip with Sunshine Kids to New Orleans, Louisiana for Mardi Gras. The experience was spectacular! We ate so much good food and even went on a swamp tour where we got to see and hold live alligators. I got to meet so many new faces from around the country and hear stories that inspired me to never give up and keep on fighting. The experiences I’ve had with this organization have been remarkable and I am proud to say that I have now beaten cancer… twice! This journey has been tough, but it has taught me a lot about myself and what I am capable of. I hope that I can inspire kids going through what I did and prove to them too that love and happiness can overcome pain and sadness! My name is Carly DeMartino. I am 13 years old and live in Granby, Connecticut. In March of 2015, I was diagnosed with a rare brain tumor. I had surgery to remove the tumor and underwent 6 rounds of chemotherapy that kept me in the hospital almost 2 out of every 3 weeks. My family and I then spent 6 weeks in Boston so I could undergo proton radiation. Throughout my treatment and recovery, I felt the never-ending support of my family, friends, community and medical team. The strength I received from them enabled me to return to school on good days and allowed me to participate in many activities like a typical teenager. I enjoy music, arts and crafts and travelling with my family. At school, I am a Broadcast Team Leader and participate in a weekly program that takes care of retired therapy horses and other farm animals. I continue to be amazed and humbled by all the people and organizations that provide support to children (and their families) who are struggling with a diagnosis of cancer. I was introduced to the Sunshine Kids in the summer of 2017 when I was invited to go on their annual Summer Broadway Break to New York City. It was truly unforgettable. I was able to spend time with other cancer survivors my age from all over North America. We saw 3 Broadway shows, took in all the sites and dined at many famous restaurants. The highlight was sharing the experience with of all my new friends. They really understood the journey I was on and were equally as grateful to be spending time with other teens in a similar situation. As a National SpokesKid for the Sunshine Kids, I hope to spread the word about their positive and life changing impact. The events the Sunshine Kids sponsor provide an opportunity for children and their families to catch up on good times they missed out on due to treatment. I want to make sure people understand that the chance to hang out with other survivors gives each of us a strength we are able to take back to our daily life. It is a special bond we don’t share with anyone else. Cancer is a diagnosis no one wants to hear, but I have met so many people and had so many opportunities I might not otherwise have had. My goal as a National SpokesKid is to make sure as many kids as possible are able to feel the warmth of the Sunshine Kids even on their darkest days. My name is Grayson Zrelak and I am 13 years old. On Valentine’s Day 2015, when I was 10 years old, I noticed a large golf ball sized lump on my neck. My parents took me to Florida Hospital for Children and after several days of blood draws, scans and surgeries, I was diagnosed with Stage 2 Hodgkin’s Lymphoma. I was shocked. The doctors told me I was going to have to have another surgery to put a port in my chest, so I could begin chemotherapy right away. After three 21-day cycles of high dose chemotherapy, several hospital stays and 17 radiation treatments to my neck and chest, I was told I was cancer free! It was during this time that I went to my first Sunshine Kids event at a restaurant that had karaoke. A boy named Phi, who I had met during my chemo treatments, was there too. We were both bald and singing as loud as we could. It is one of my best memories with him. We went to several amazing Sunshine Kids events together over the next two years. Because of the Sunshine Kids, we became the best of friends, as did our parents. Unfortunately, he did not win his battle with cancer and he passed away in March 2017. In July 2016, my cancer came back with a vengeance. I had several tumors in my chest, lungs, abdomen and spleen. Over the next year, I endured more surgeries, chemotherapy, radiation, lengthy hospital stays and a stem cell transplant. During this time, I decided to document my stem cell transplant and cancer journey on my YouTube channel Grayson ZREMAN, so other kids would know what to expect while battling cancer. I am hoping to reach 1 million subscribers. I have a long way to go, but hopefully I will not have to face this battle again and I can eventually get there! Hi, my name is Serena Everest. Just one year ago, I was that girl who just started high school, was exceeding my goals, and loving being the captain of my new high school volleyball team. I was having the ultimate high school experience! Then, six months into this dream, I found out my life was going to be forever changed. The day began well, as a normal midterm exam day, but man was I in for a sour surprise. I walked into the doctor’s office not knowing what to expect or how to feel. As my doctor walked in, she gave me THE glance and I knew right away what she had to say. On January 23, at 15 years old, I was diagnosed with Pre B-Cell Acute Lymphoblastic Leukemia. After that appointment, I had 2 hours to go home and pack my bags for the hospital. The days that followed this diagnosis were the darkest days of my life. Being newly diagnosed, I was constantly in and out of the hospital. I was so overwhelmed with all the new names of doctors, nurses, and medications being thrown at me that most days I barely even saw the sun! The days I was home, I would often wake up fatigued and stressed with constant sharp pains stabbing at my stomach and the headaches were unbearable. I won’t forget all the emergency room visits that became a normal occurrence for my family and me. As the days went on, I started to feel more and more lonely and began to become more and more stressed battling online school and cancer at the same time. I had been torn out of “real” school months ago and now had lost touch with all my friends and teachers. This is when the Sunshine Kids Foundation came into my life. When my doctor told me about the trip to Waikiki, Hawaii, I was stoked. This was my chance to finally get some freedom from my family and basically escape the “prison” I had been trapped in for months. This trip could not have been planned for a better time because I was enduring so much stress and pain at home that I could barely keep my head above water. This once in a lifetime invitation was like a lifeboat that was finally able to come and rescue me from the cells of cancer. Oh boy, I sure didn’t know what I was in for when I accepted this trip. Arriving in Hawaii was the best feeling ever. We had gone through two long flights and then we were greeted by these friendly people who gave us our first flower necklaces and offered to carry our suitcases. This was the moment I knew this trip was going to be the best thing that had happened to me in a long time. As a teenager going through cancer, it is very rough because you are just starting to reach the point in your life where you are ready to break free and spread your wings but you just can’t. This trip (involving surfing, shopping, socializing, kissing dolphins and much more) was a chance for me to spread my wings and get some fresh air. It had been so long since I smiled, and I meant it when I was smiling on this trip. It was truly a life-changing experience. My Hawaii trip allowed me to meet kids who actually felt exactly how I did and had the maturity I had. These kids were so down-to-earth and so compassionate towards each other that I just felt so happy around them. I just want to say thank you Sunshine Kids Foundation for bringing the sun into one of the hardest times of my life. Titi's first encounter with the Sunshine Kids organization was in 2016 for the National trip to LA. When Titi came back, all she could say was, "That was honestly one of the best weeks of my life. I got to meet so many other people who were just like me. It was a judgement free zone." 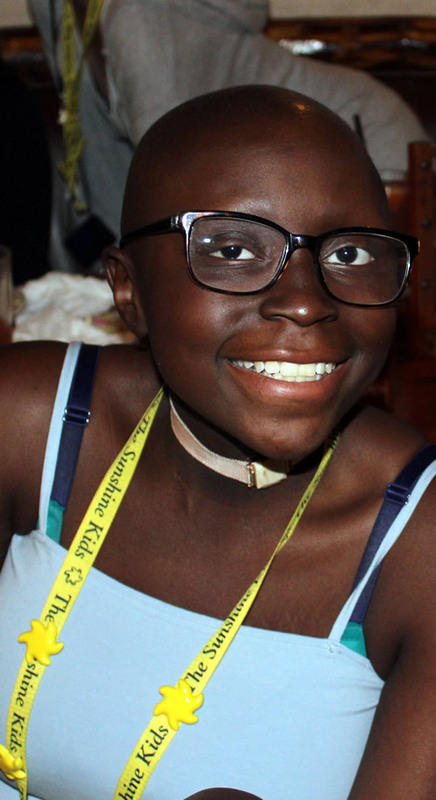 At merely 13 years old, Titi was diagnosed with Alveolar Rhabdomyosarcoma of the face and neck on January 13, 2016. The diagnosis was hard on her as she was torn away from her normal life in the blink of an eye. She had to leave school and all her friends for safety reasons. Though she was very upset at why this happened to her, the straight A student and star volleyball player was destined to play for her high school team. She got through it with this very mantra, "If it weren't me, who would it be?" When that thought came to her head, she knew she was strong enough to beat this enemy. Titi has always been a very creative and artistic girl, but one of her chemos rendered her hands essentially useless; she couldn't even write. Imagine after all this hardship you go through, you have to sit at home for 8 months straight and can't even do what you enjoy most. "Honestly, the inability to use my hands to express myself was the hardest part. I love, love, love to draw, and now cancer had taken that away too. Hadn't it already taken enough? Was it not yet satisfied?" After 43+ weeks of a cocktail of chemotherapy and 6 weeks of radiation, Titi was pronounced cancer-free on November 22, 2016 at the age of 14. After an 11 month "prison sentence," she was finally free. Titi has always been cheerful, but on that day her smile shined brighter than even the sun itself. You see, she may have had cancer, but cancer did not have her. It's hard connecting to people your age who haven't experienced what you have. You feel decades older when you're still only a kid. 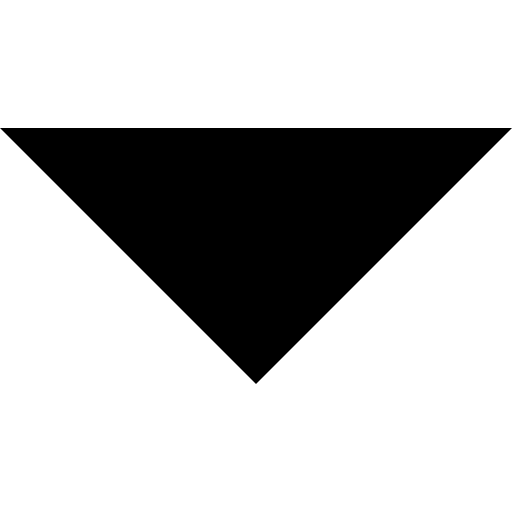 You're much more mature and just have different views on what is and isn't important. Sunshine Kids helps teenagers and other children really connect on an emotional and intellectual level that cannot be reached with your "normal" peers. I have many friends and when I moved to a new school for high school I had no problem making new ones. The only thing was that I was known as "the cancer girl" or " the girl who has/ had cancer." At Sunshine Kids I learned that there is nothing wrong with what I went through and that I am not alone. On my trip, I met some of the most amazing and strong people I have ever come into contact with. The moment I was told I was a Spokeskid I couldn't believe it! I was tremendously excited at the prospect of being able to speak about the wonderful and awe inspiring things Sunshine Kids can provide. You make lifelong friends on these trips and I encourage anyone invited to seize the opportunity to change your life forever. Sunshine Kids has given me some absolutely wonderful experiences and I don't know where the world would be without this beautiful organization." My name is Natalie McMaster, I am 14 years old and I live in Frederick, Maryland. On July 10, 2015, I was diagnosed with Acute Lymphoblastic Leukemia (ALL) a week before I was supposed to travel to my softball world series in Ocean City, MD. At first this all came to me as a shock, I had no idea what “Leukemia” was and I was upset when I started seeing comments on social media saying I had cancer. I thought they were lying and I was frustrated because I thought the doctors weren’t telling me everything, but they came in a little later and told me Leukemia was a type of blood cancer. While my team was at the tournament, I was stuck in the hospital for the next 18 days. The next few months were very rough on my body and emotions, I was constantly in and out of the hospital and unable to start my 7th grade year. Finally, on November 6th, for the first time in about 4 months, I got to hear some exciting news - I was cancer free! Although the long road to recovery was still ahead of me, I was lucky to be feeling well enough to start back with winter conditioning workouts. Sticking with softball and with the support of my softball family made this whole journey a bit easier. I was given an amazing opportunity to go to Disneyworld for a week through the Sunshine Kids Foundation with other teen cancer patients and no parents! I was super excited to hear about this because during the past year I missed out on a lot of fun things my friends did and I was always so upset. At first, I really didn’t want to go because I thought it would be hard to make friends and engage with other kids, but by the first night everyone started to really connect and get to know each other. I found out that a lot of them felt the same way I did. I was relieved to know that I wasn’t the only one nervous to go. After that night, I knew it was going to be a great week! This opportunity made me realize that even though I was diagnosed with a heart crushing disease, there will always be good things that come out of it. As I continue this journey, I have had so many generous and loving supporters by my side. There was never a day I ever felt alone while fighting this terrible disease. I hope everyone going through something like this will have the courage and strength to stay positive. My name is Maddie Tomasko, I’m 17 years old and I live in Rockford, Michigan. I was diagnosed with Acute Myeloid Leukemia in April 2011. I started chemotherapy right away. After a few weeks of treatment, my doctor told us that it wasn’t working and that I had to undergo a Bone Marrow Transplant; an infusion of new bone marrow after they wiped out my own in order to make me healthy. In June that year I received a transplant and it worked! I recovered quickly and was able to return to school in January that following year, for my 6th grade year. Three years later, in February 2014, I relapsed; my cancer had returned. This time I didn’t undergo chemotherapy as long and I received a second Bone Marrow Transplant that May. This one had several complications, causing my recovery process to be slower. I wasn’t able to return to school until a year later, in May 2015. I have continued to undergo treatment approximately every three months to help with my immune system, but other than that, I have been happy and healthy. In my free time, I read, write, take pictures, watch movies, hang out with my friends, draw and spend time outside. I am in remission and I hope it stays that way. In early January 2016 I was invited to attend the Sunshine Kid’s Mardi Gras Fun-Time Fantasy trip. At first I was nervous, because going away from my family for a week and leaving my comfort zone frightened me. But then, I got to New Orleans! I immediately fell in love with the city and the people I met. It was one of the best experiences of my life. We got to meet Andy Grammer, saw his concert, held a baby alligator, ate at a variety of wonderful restaurants, toured a warehouse of Mardi Gras floats, went on a carriage ride through the French Quarter, had a Mardi Gras Ball held in our honor, visited the “NCIS New Orleans” set, shopped for beads and we were even able to ride on our very own float in a Mardi Gras parade!! This trip was so very special to me because I was with people who had cancer, and I didn’t feel as if a label followed me around. I was with people who could be empathetic, and I had the time of my life! The trip itself was breathtaking and I will never forget it. Thank you Sunshine Kids for letting me forget I had cancer, and letting me truly be myself. My name is Alexis Martinez. On July 27, 2015 I was taken to Children's Hospital of Los Angeles because of a lump I had found in my neck. At first I thought it was just that I had slept wrong or that it was a tensed-up muscle, but when I got there they kept me in the emergency room for what felt like hours. The last thing I had on my mind was that it could be cancer. That's something you only hear in movies and read in books. It is certainly not something you expect to happen to you. When the doctor came in the room, she had asked my mom if she could speak to her privately. My mom left the room and I didn't really stress too much but then a volunteer came in and asked my sister if she wanted to go do arts and crafts, and she left too. I was alone in the room. That's when I started to worry. I thought to myself, if anything was wrong it couldn't be that bad; five days prior to that I was out camping, hiking, just being myself...healthy. Nothing is wrong! I looked at the ceiling for what felt like forever and then my mom came in, followed by the doctor. My mom just smiled at me, her eyes red and puffy, and sat down right next to me. My doctor was on the other side of me. She said, “we ran tests and your blood was somewhat off. We aren't totally sure what it is. We are hoping it is rare blood disorder, but it could also be cancer.” At that moment, I didn't know what to think, I just cried and cried. They said that they would keep me there overnight to run more tests. Sure enough, it was cancer, Hodgkin's Lymphoma. I did my first round of chemotherapy there at the hospital and I was released on August 1, 2015. I went home still not believing. The fight was hard even though it was only for a short amount of time compared to what other kids go through. I was one of the lucky ones. On November 1, 2016 I celebrated 1 year of remission. Sunshine Kids was a big part of getting me through this difficult time. They made me forget what I went through. I was invited to go on their annual Washington, D.C. Adventure and to this day, I am so thankful that they chose me to be a part of it! I was able to connect with other kids about what I went through physically and emotionally. I didn't feel alone anymore. I didn't feel like I was the only one. I became a Sunshine Kid. They gave me memories and friends that will last forever! My name is Brittney Rodriguez. I am currently 18 years old and live in Austin, Texas. I was a regular teenager, spent most of my time playing soccer and going to school, loved reading and hanging out with my friends and family whenever I had the free time. Most people would tell you I was very adventurous and never had a dull moment. I love seeing others succeed and will do a lot to see a smile across some else’s face. I’ve played soccer ever since I could remember. Being an active person always kept me on my toes and ready for anything. Around my junior year, I was going to soccer tryouts and working at an Italian restaurant. I was always busy, but I can still remember feeling perfectly healthy and ready to start the year. On March 17th, 2015 I was very sick and couldn’t get to work that day. My boss told me I that needed a doctor’s note to resume working. I immediately went to the nearest ER where they told me I had Hodgkin’s Lymphoma. It was a shock not only to me, but also to my loved ones. After my diagnosis, I spent the rest of the summer in and out of the hospital. Although I have fully recovered from cancer, I will never forget the depths of my experiences that made me the woman I am today. I am stronger today with a better understanding for beauty, healing and the gift of life. I will forever have empathy for kids diagnosed with cancer and be able to connect with them. The Sunshine Kids program made me realize that I was not alone fighting this disease. On September 19th, 2015 I was fortunate enough to be invited on a Sunshine Kids trip to California. That trip is where I connected the most with other kids during my treatment. Sunshine kids gave me courage, hope and insight into the power of the program. I then knew and understood how my peers felt and the emotions they carried with them every day. I would like to teach others the things I’ve learned through my experience and help them to cope with their battle. I am very thankful to be a SpokesKid for Sunshine Kids and to every helping hand that has been extended to me. I cannot wait to see what the future holds for me and others around me! My name is Darius Jackson. I am 16 years old and I was born at Naval Air Station Jacksonville, FL and currently live in San Diego, CA. I have always been an extremely active teenager playing basketball every day, hanging out with my friends and just having fun being a kid. My friends and family say that I am a fun loving person with a big heart that loves to play sports video games, listen to music and play basketball. Basketball is my passion and first love. I want to be like Kevin Durant and play in the NBA and also be a pilot someday. Crazy combination huh? LOL, I know, but I wouldn't change a thing. Upon my dad's return from his deployment in 2012, we moved from Washington to San Diego and my world began to collapse in front of my very eyes. I was in a new place, at a new school that I didn't like and I was tired all the time. I was in a very dark place in my life and my body began to hurt very badly. My parents took me to the doctor on multiple occasions, but they chalked it up to "growing pains" because I'm pretty tall for my age. After numerous aches and pains and trips to the ER, they finally discovered that I had Acute Lymphoblastic Leukemia (ALL). My family couldn't believe it, and neither could I.
I spent the next few months in the pediatric ward at Balboa Naval Hospital undergoing chemotherapy. My saving grace was that my family and my oncologist Dr. Pene was there by my side every step of the way. We gave each other strength and we helped each other get through this trying time. I was scheduled to start high school, but I had to wait until the second semester due to my extended treatment schedule. So I was given another obstacle by starting the 9th grade in the middle of the year at a brand new school. I am proud to report that I am well on my way to getting healthy and I can't wait until I'm done with my treatments this summer. In January of 2016 I was invited to attend the New Orleans Sunshine Kids trip and all I have to say is WOW and THANK YOU! It was fun to finally travel without my family and meet some great people. Through this wonderful experience, I was able to meet some outstanding kids who have become my friends. We all really understand each other because they have all been through similar medical circumstances. I used my positive energy to forge a lasting bond with the group and the experience was priceless! I believe that positivity and genuinely caring for the next person is the key to life no matter what you are going through. You can always find a reason to smile and help someone out. Cancer CAN BE BEAT, you just have to remain positive and take the fight to cancer’s doorstep. I would like to take this opportunity to thank Sunshine Kids again for giving me the chance to be carefree for a short period of time and just be me. No hospitals, no treatments, just great people and lots of fun. You gave me an opportunity to charge my "positive vibes" battery and I'm ready to help spread that positivity to anyone dealing with similar circumstances to help them overcome the daily grind of treatments and whatever else may be ailing them. Just like my parents always tell me....pace yourself son; life is not a sprint it's a marathon, YOU GOT THIS! Hi, my name is Natalie McCastland. I’m 17 years old and I live in Chicago, IL. I have been dancing for 14 years and I dance competitively with my company. I also love waterskiing; when I was 2 years old, my dad would run along the beach with me standing on my skis tied together and I haven’t stopped skiing since. My freshman year of high school was better than I could have hoped. I had a lot of new friends, I was on the varsity dance team and my grades were great. Sophomore year was looking bright as well, until my right knee started hurting during dance practices. I’ve always had a high pain tolerance and I thought I’d just pulled something, however, it never got better. I went for an MRI and my picture perfect high school life came crashing down when they said it was cancer. I was diagnosed with osteosarcoma in my right tibia in December 2014. My treatment was at Lurie Children’s Hospital in Chicago. I don’t remember much about that first day in the hospital, meeting with the doctors and hearing about treatment. I do know my only question was if I was going to lose my hair, to which they said “yes”. I remember thinking I could will myself for it not to happen - apparently I was wrong. I had 15 chemo treatments in all, and limb salvage surgery to replace my knee. Although there were a lot of bumps along the road; unexpected hospital stays, fevers, transfusions and rashes, I can now say that I’m part bionic and a cancer survivor! I first heard about Sunshine Kids when I was going in for a treatment. My nurse practitioner said there was a group that hosts trips for kids with cancer from all over the country. It sounded like a great way to meet kids that I could connect with because we were all going through similar situations. I went on the Haunted Halloween Getaway in October 2015 in New Orleans. It would be my first trip alone without my family and I was a little nervous. As soon as I got there though, all my anxieties were gone. It was the most amazing and fun experience I could have had and I met other Kids there that I will never forget. All the volunteers were so wonderful and they did everything they could to give us a one-of-a-kind experience. I am thankful to the Sunshine Kids Foundation for including me in their trip, giving me the chance to forget about cancer, meeting the best and strongest group of kids and memories that will last a lifetime! Hello my name is Shelby. On March 18, 2015, two weeks after my 16th birthday, I was diagnosed with Acute Lymphoblastic Leukemia. After diagnosis, I spent 2 months in the hospital missing school and family time. Since I was off my feet for so long, muscle atrophy caused me to lose much of my strength. Learning how to walk normally again has been a really painful and time consuming task. If you ask my family what I was like before I was diagnosed with cancer, they will tell you I'm a reader not a runner. I always end up finding underground writers who only have one or two novels published. Recently, I stumbled across a list of old songs that was a soundtrack to a book that I've reread 10 times over. I started to research the songs and my eyes were opened to older music I had never heard of before. Music has always been a big thing in my life. In school, I was in choir from the 3rd grade until my sophomore year of high school. Even now, I listen to music every single day. When my doctor asked me if I was interested in the Sunshine Kids trip to New Orleans, I was excited but also hesitant. My walking still wasn't the best. However, my doctor, my family and even some of my friends had faith that I would be able to do this trip. I was ready to be faced with this challenge and come out on the other side with stronger legs. If I could walk on this trip, I could do anything! When we got there it was amazing - everything from the restaurants to the parades to dancing at our very own Ball! This trip gave me confidence in my own two legs and help me realize it's good to forget and just have a little fun. This trip was a self-inspiring journey for me and I hope that everyone who ever gets offered a chance to go along with the Sunshine Kids will take it. I personally just want to thank the Sunshine Kids crew for organizing these amazing events for kids like me all around the world who have cancer. Hi my name is Jason Headley. I am 17 years old and I was born in Staten Island, NY. On October 22, 2013, I was diagnosed with Acute Lymphoblastic Leukemia. At first, I didn't know what to think. Was it going to change my life forever? Will people see me differently? I knew that no matter what, as long as I stayed positive, I could make it. I have gone through a series of chemotherapy treatments, bone marrow biopsies and lumbar punctures, but in the end I knew, the medical team at Children's Hospital of the King’s Daughters in Norfolk, VA would always be there for me as a second family. I am a very outgoing person. I love to cook and hope that when I get older, I can become a chef. I also love to fish during the spring; when I fish I feel at peace. My favorite sports are football, hockey and soccer but my favorite thing to do would probably be hanging out with friends. When I was told that I going to attend an event with the Sunshine Kids, I was pretty excited. Even though I didn't know what we were going to do, I'm just the type to do first and think later! When I met other kids that were going through the same thing, I was very pleased to learn that I wasn't the only one fighting cancer. I am very thankful for the Sunshine Kids because I made life-long friends who understand what I’m going through while getting the chance to enjoy a once in a lifetime trip full of just plain fun. My name is Nicole Boyle. I am 15 years old and live in Scribner, NE. I was a very active teenager, spending time riding my horse, Annie, and participating in many athletic activities. Some say I am a bit rambunctious and loud, loving to play video games and watching horror movies. Sports are one of my many passions with volleyball, basketball, softball, and track being my favorites to play. In June 2014 I was in the middle of softball season when my world began to unravel. I started to get fatigued just running from first to second base. What my parents thought was just a case of mono or the flu, turned out to be a cancer called Myelodysplastic Syndrome, otherwise known as MDS. Needless to say, it was a shock to us all. After my diagnosis, I spent the rest of the summer in the hospital preparing for and completing a bone-marrow transplant. As the youngest twin in a family of 5 kids, it was an incredible blessing to have my oldest brother, Craig, be my bone marrow match! He happily delayed his deployment to the Middle East with the Air Force to be his little sister’s bone marrow donor. I was a bit scared, but always knew that whatever happened, worst case I would be with Jesus in Heaven. My faith and my strong, supportive family helped to get me through some very rough days. I am happy to say that I am well on my way to recovery and ready to get back into full swing of my freshman year in high school. 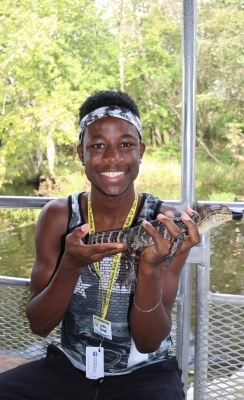 In November of 2014 I was invited to attend the Florida Sunshine Kids trip. I was pretty nervous at first because it meant not just traveling, which I have not done much of, but also going without any of my family members. It turned out to be the best experience ever! I was able to meet wild and fantastic kids who have become my friends. 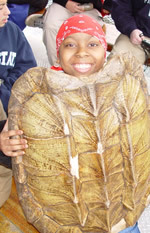 The best part was that each of the kids had experienced a life-changing event just like me. We understood how each other were feeling and really appreciated the unique support we could offer to one another. I have grown more compassionate in listening to and meeting with others concerning their problems and challenges. In addition, I’m more passionate about wanting others to value, respect, and learn just how difficult it is for kids to keep pushing forward with their cancer treatments. Thank you Sunshine Kids for giving me the opportunity to forget about cancer treatments for a while, experience something I would not have done otherwise, and, most of all, allowing me to be with the greatest, bravest, strongest group of kids in the world. I will never forget the people who have supported me through the harsh journey, and I will do my best to help others through it too. My name is Angela Ortiz. I’m 18 years old and live in Miami, Florida. I’m an avid reader, a dedicated disdainer of math, and way more into watching romantic comedies than I would care to admit. When I’m not doing any of those things—or my homework, I spend my time hanging out with the most amazing friends and family who helped me through the past two years. Currently, I’m a senior in high school and very much looking forward to attending university in the fall. I hope to pursue a career that would enable me to help as many people as I can along the way. I have two mind-bendingly goofy dogs named Buddy and Koya. Needless to say, I’m completely in love with my life. Two years ago, during the fall of my junior year, I was diagnosed with Hodgkin’s Lymphoma. It was daunting to see how everything in my life had to change in order to deal with my cancer. As I went through chemotherapy and then radiation I was surrounded by my loving and supportive friends and family. I really couldn’t have wished for a better support system. In February of 2014 I was invited to go to New Orleans with the Sunshine Kids. I was beyond excited by the invitation. Being able to meet so many amazing people who could relate to what I was going through meant the world to me. I made friends who I’ll never forget and memories I’ll cherish forever. I couldn’t be happier to be involved with this organization and couldn’t be more psyched to see other kids have the same amazing experience that I had with Sunshine Kids Foundation. 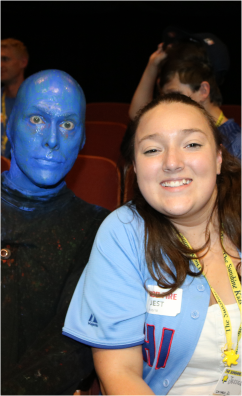 Morgan’s first experience with the Sunshine Kids Foundation was on the 2014 Summer Broadway Break trip. "I had been to New York City with my family. I knew it was a really exciting place, but staying in a hotel in the middle of Times Square for a week was beyond words. I was so thrilled for the trip and excited that I was at a point in my treatments where I would be able to spend a week simply enjoying life! In the time I spent at my hospital, I had met only a few other teenage patients. So, it was really inspiring to spend the week interacting with kids from all across the country who shared so many similar experiences with me. When people in the city asked me what my yellow lanyard meant, I was proud to explain to them what Sunshine Kids was all about. I am honored to be in this role as a National Spokeskid for such a super organization that I know makes a world of difference to so many young cancer patients." 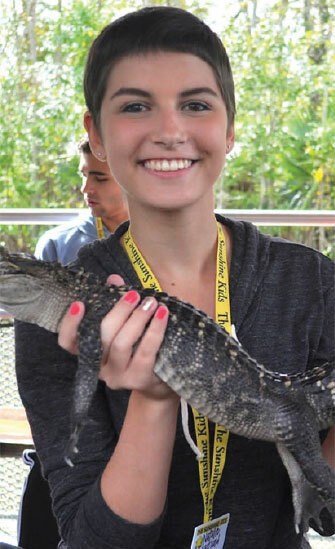 In April 2013, at age 15 Morgan was diagnosed with Acute Lymphoblastic Leukemia. She was an athlete, particularly loving the game of soccer. Intense pain in her back and chest brought her to the ER late one night. Later, a blood test would reveal Morgan had leukemia. Morgan’s attitude from the day she was diagnosed was to stay positive, keep herself informed about what was going on with both her body and in the treatment and to keep focused on the progress being made to beat her cancer. Today, Morgan is in remission and is scheduled to finally finish treatment in August 2015. Amazingly, she is on track to graduate with her class this spring, despite spending considerable time in the hospital during her junior year. Next year she will attend Providence College to study Healthcare Policy and Management. 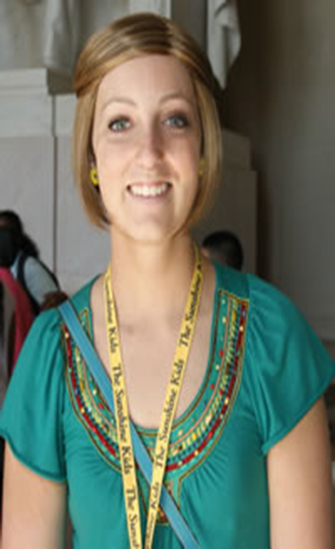 Her hopes are to then continue her studies in an effort to become a Physician’s Assistant. Ever since the Sunshine Kid’s trip to NYC, she has added a whole bunch of new Kids to her circle of friends. 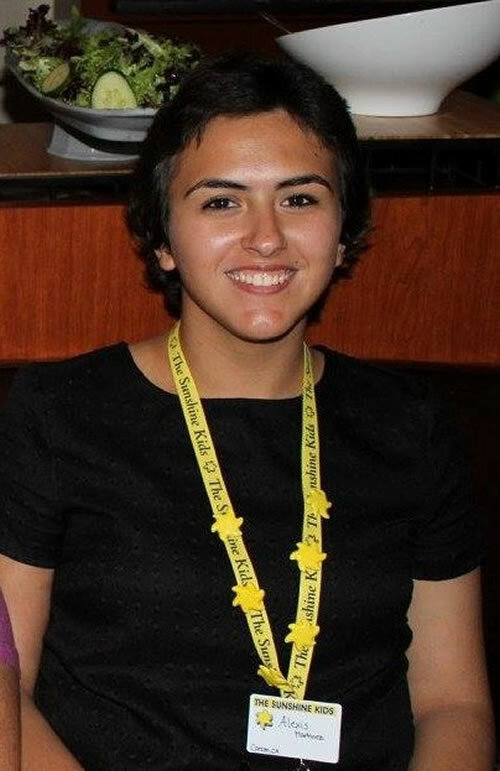 "Being a Spokeskid for Sunshine Kids will allow me to be a part of the lives of other young cancer patients as we put our illnesses aside to just have fun together." In January 2014 (sometime between the 15th-17th to be exact! ), I was invited to attend a Sunshine Kids trip to Colorado. I was so nervous and scared because attending meant I would have to go onto a plane without my mom or dad. However, thinking of all the kids I would meet who were just like me gave me the courage to make the trip! It was the best decision I could have ever made. Mainly, because I met three amazing Sunshine Kids who had a big impact on my life. Their names are: Brenna, Noah, and Emily. They all taught me that cancer couldn’t stop you from doing anything. If it weren’t for Sunshine Kids, I wouldn’t be the strong person I am today. In early 2012 Austin Keller was a 12 year old honor roll student and three sport athlete working to balance being on the wrestling, baseball and football teams at his middle school in Annville, PA. In February of that same year he was diagnosed with Osteosarcoma in his lower jaw and endured a 15 hour surgery to replace his lower jaw with a portion of his fibula. Upon learning about how rare his diagnosis was and that only 5 cases had been reported in the United States, Austin asked his oncologist at Pennsylvania State University Medical Center if he could donate his lower jaw to research that might be beneficial to help other Kids. Post-surgery Austin began his treatment schedule of 30 radiation treatments and 40 cycles of chemotherapies that lasted well over a year. Having to put sports on hold, he developed a love of drawing anime comics and reading. Although he is still on oral chemotherapy he is gradually getting back to his love of sports and is once again playing baseball! 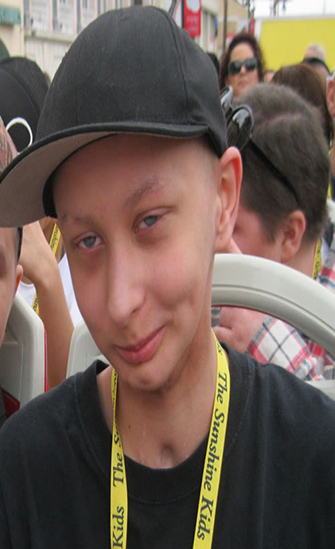 When asked to attend the 2014 Sunshine Kids California Fun-Time Fantasy trip to Los Angeles, Austin was hesitant at first, but then thought it might be fun to hang out with other teens who have had a similar cancer experience. It turns out Austin was right! 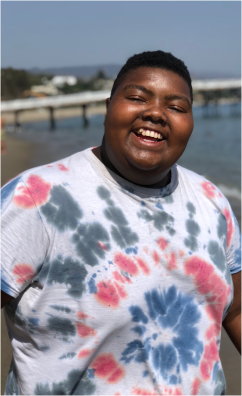 During the trip he was able to make new friendships with many teens from across the United States and finally forget about hospital visits and chemo schedules. His favorite experiences while on the trip were the days spent at Disneyland and Universal Studios because it was there that he was able to truly cut loose with his newfound friends and finally just have fun! My name is Jamie Lee. I’m 18 years old and I love music. I was diagnosed with leukemia when I was 14 years old, two days after my grandfather passed away. Music came into my life during the first month of my treatment. I would always tap my feet or sing in my room. Music helped me when I thought of all the stress during my treatment. Now, I make my own instrumentals and write my own songs. In 2013, during my trip to Florida with the Sunshine Kids, I made a lot of new friends. I got to hear their stories about their treatments. The Sunshine Kids helped me realize that I wasn’t alone in my battle. Many other kids like me had gone through just as much pain and stress as I did. I’m glad I was able to attend this trip not just because of the friends I made, but also the memories that we all share. I want to be able to volunteer for the Sunshine Kids Foundation, so that I can work with other kids like me and let them know that having cancer can change you in a positive way. The names of friends I made are engraved in my heart and won’t be forgotten. Since the 7th grade, I have been diagnosed with three types of cancer. During 7th grade, I was ostracized by classmates and family members for having an enlarged belly. It turned out to be a 16 pound Teratoma tumor. In 8th grade, I started having constant back pains at all hours of the day. Everyone thought it was just growing pains, but I knew something was really wrong. After requesting further testing, I was diagnosed with Primitive Neuroectodermal Tumor (PNET), a rare neurological cancer. I received intense chemotherapy for two years and a stem cell transplant. On a routine check-up during 10th grade, an x-ray revealed a spot on my left pelvis. I was then diagnosed with Sarcoma. After six months of intense radiation treatment, my left pelvis had to be removed causing me to become handicapped and rely on a wheelchair. It’s been a long hard journey. In June 2013, I attended the Texas Hill Country Adventure with the Sunshine Kids. By bringing those of us who are fighting for our lives together, this trip allowed me to meet the most amazing kids, teenagers and adults. I have so many memories of laughter, tears, joys, hugs and friendships that I made. Through the Sunshine Kids, I was able to meet my best friend Courtney. Even though she is on the other side of the country, she gives me strength. We are working together on walking again. I am a year and three months cancer free, walking with a cane, and a senior in high school. I couldn’t be prouder of who I am now. On August 7, 2009, I was diagnosed with Leukemia. I did not develop the normal symptoms of leukemia. Three weeks before I was diagnosed, I was in the Keys with my best friend and her family for mini lobster season. That is where I began having knee pain. After arriving back home, I went to the orthopedic doctor who requested an MRI. The doctor noticed something on the MRI and referred me to an oncologist. While I was going through treatment, I found out that I was missing a gene that helps me metabolize the chemotherapy. This has left me in a wheelchair. December 22, 2011 was the end of my treatment and I became cancer free. 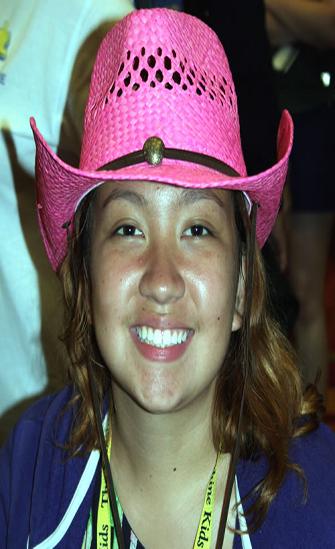 I was invited to attend The Sunshine Kids 2013 Texas Hill Country Adventure which changed my life completely. I met my best friend Dolly who knows exactly what I am going through. We’ve kept in contact and talk to each other almost every day. She has helped me understand that I am not alone in this journey. I am so lucky I was given the opportunity to attend this trip because it showed me that I’m able to do things I never thought in a millions years, I would be able to do. Jared was diagnosed with Wilms Tumor, a form of kidney cancer in January, 2012. He was enjoying his freshman year in high school, active in his church and thrilled to be starting baseball conditioning for the upcoming spring season. He had always been very active and healthy but began suffering severe back pain, which was diagnosed as a muscle strain for several months. Finally, a visit to the emergency room uncovered a five pound tumor engulfing one kidney and spreading itself into multiple organs, as well as a mass on his lung. Doctors were amazed he was able to breathe well let alone play sports. Jared was diagnosed with Stage 4 cancer and later learned those cancer cells were resistant to treatment. He underwent a year of aggressive chemotherapy, radiation and several surgeries to remove all tumors. 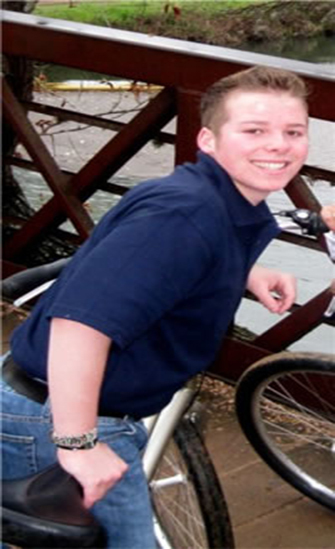 Jared enjoys staying active with baseball, running and most outdoor activities. He loves to travel to new places, play the drums in his youth group band and volunteers at a local shelter. My name is Montana Dalman. I am 15 years old and the oldest of six kids. I am an avid reader and I also love art, music, and any creative outlet in which I can express myself. I love being a part of my youth group and enjoy serving at my local women and children’s shelter. Right before I was diagnosed, I was playing the new position of catcher on my 7th grade softball team. We played a double header the day before I went to the doctor, and my left leg was almost double the size of my right leg. After an X-ray was completed at the doctor’s office, a mass the circumference of a volleyball was discovered. It turned out to be Ewing’s Sarcoma, a rare form of bone cancer, which also spread to my lungs. I had to undergo many rounds of chemo, a bone marrow transplant and an amputation. It was the toughest thing I had ever done. 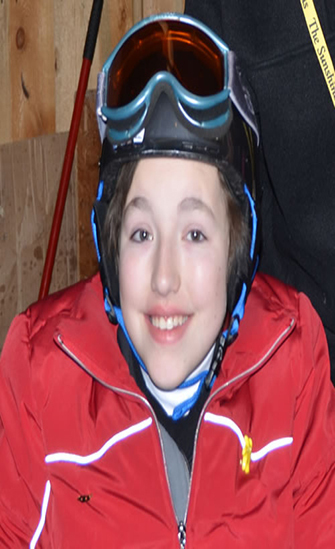 In February 2013, I was invited to attend the Sunshine Kids Winter Games in Steamboat Springs, CO. During the week I learned how to ski, we went snowmobiling and shopping. It was an amazing week spent with other teens who have gone through similar experiences. As strange as it sounds, I am thankful for my cancer. It made me appreciate life for the wonderful gift that it is. I also love the new perspective on life that I have been given. I would like to pursue a career in pediatric oncology or child life. Hello, my name is Mitchel Xayapraseuth. Last year, during my junior year in high school, I was diagnosed with Hodgkin’s Lymphoma Stage 4. It was very scary. It all started when I was not feeling well during my sophomore year. I was a break dancer, swimmer and diver. I noticed that my bones started to hurt while i was doing wind mills and my skin started to really irritate me. I did not think too much about it, I just thought I was sick. My junior year my best friend Steve was diagnosed with cancer. I thought to myself how could this happen? As I went to go visit him, I looked in to the mirror and it seemed as if I was to have cancer too. I told him to stick in there and it was all going to be over soon. One week later I started my second semester back at service high school. Usually I would be running or playing soccer, but I found myself sitting on the sidelines just staring at the others while they played. After noticing my changed behavior my nurse sent me to go get a CAT scan. When the doctors came out with the results they said that I had cancer and the X-rays showed a large mass in my chest. On my way to the hospital I called Steve telling him I was heading there. He replied, "Why, I'm not there?" I told him I have cancer... He did not believe me at first but later on when he came to visit me he saw that it was true. 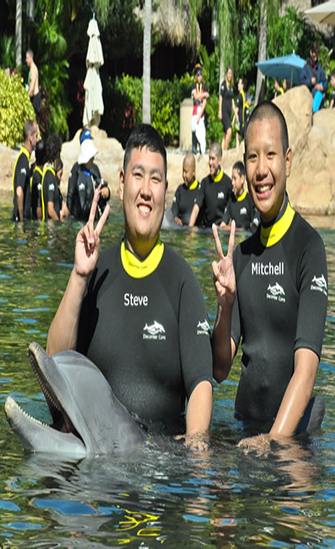 Days go by and Steve and I are sharing this experience together. Now our scans are cancer free and Steve and I are both relieved to be healthy. To everybody out there we tell them to NEVER STOP and keep on fighting because soon you will finish the race! I was a senior in high school, waiting to join the Marines basic training program, and majoring in mechanical engineering. A week before Thanksgiving, I started to feel hungry all the time, I felt tired all day, and I kept feeling pain in my back and stomach. On Nov. 10, 2011 I went to the hospital and stayed for four days doing CT scans and MRIs. On Nov. 12, 2011, I was diagnosed with cancer. My name is Basant Tiwary and I am diagnosed with Desmoplastic Small Round Blue Cell Tumor, a rare type of cancer. I immediately went into chemotherapy, and after a year of sitting on a bed and going through 3 different chemo regimens, I’m now on a semi-remission process. I never knew of a cool organization as the Sunshine Kids. I was blown away when they said that I’m going on an all-expense paid trip to LA, meeting celebrities, and getting to meet kids who are going through the same things I am. They really do make every kids dream come true! The advice I give to every person going through cancer is to never, ever give up. Yeah, you may miss out on normal life, but getting to tell people all the challenges you overcame, they will be amazed of how strong you are! I call every person who’s battling cancer a soldier; we take so much hits and we still come out on top. Think of yourself as a blessing to be able to experience a new side of your life. I’m proud to be part of the Sunshine Kids SpokesKid!! They will always have my support! Paden Blevins is 17 years old and lives in Crescent, Oklahoma. During a basketball game her Freshman year, she looked up to get a rebound and got a major cramp in her neck. The next day she was rubbing her neck due to the injury, and found a lump. The doctors diagnosed Paden with Hodgkins Lymphoma on December 10, 2010. The pain in her neck had nothing to do with the cancer, but she attributes it to being God’s way of bringing attention to the mass. 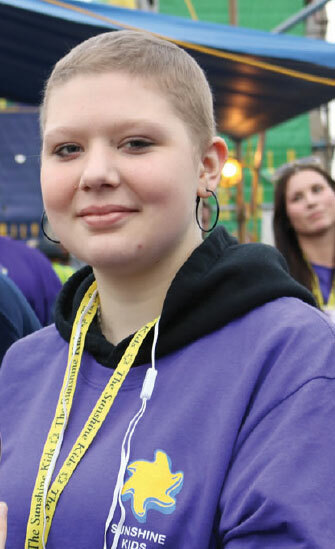 After going through an 8 week chemotherapy regimen, Paden’s cancer was in remission in February 2011; However, in August, one week from starting her sophomore year of high school, she had a recurrence of the disease. Treating her cancer the second time required a more aggressive approach. She would be admitted to the hospital for a week at a time receiving chemo and then, after only a few days of being home, have to return to the hospital due to complications and infections. After 5 months of extreme chemotherapy and radiation, Paden received a clear scan on December 21, 2011. Her scans have continued to be clear and she enjoying being able to get back to her regular activities of playing softball, cheering and hanging out with her friends and family. 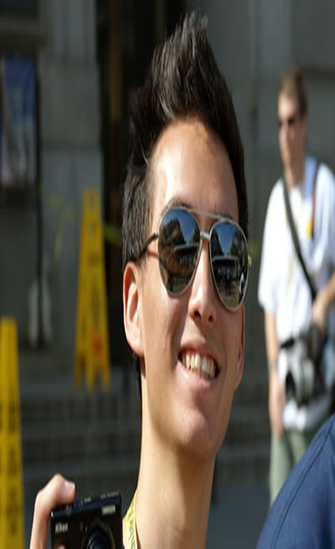 In May of 2011, Paden was invited to attend a Sunshine Kids event in Washington DC. During the week in DC she not only got to go on educational and exciting site seeing tours, but got to go many places the average tourist does not get an opportunity to visit. It was an amazing week spent with other teens who had gone through similar experiences. It helped her to heal emotionally and to create life-long friendship with others across the United States. The Sunshine Kids was one of the best things that has ever happened to me. They really love you with their whole heart and will help you get through this. They will forever be a part of me, and I will be forever grateful for what they did for me. I was a high ranked competitive gymnast. I trained all week, everyday. Rarely missed a workout. September 2, 2010 my world was flipped UPSIDE DOWN. My doctor found a tumor in my right distil femur. It felt as if it was the end of the world. The doctors at MD Anderson Cancer Center diagnosed me with Osteosarcoma. 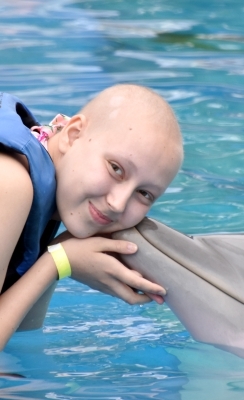 Osteosarcoma is a rare bone cancer that occurs in kids and teens. It is also most commonly found in the right leg. We had a plan. We were to do chemotherapy to shrink it, do limb salvage surgery to remove the tumor and save my leg, then follow up on chemotherapy. It sounded perfect! We began chemo and after a few weeks of horrid treatment my knee started to hurt again. The doctors proceeded with a x-ray to see what was going on. The unsettling news came back, my tumor had grown. We met with the doctors again to construct a plan B, but this time it wasn’t as perfect. I had a huge decision to make. Life or leg, of course I chose life! So two weeks later, my leg was amputated. 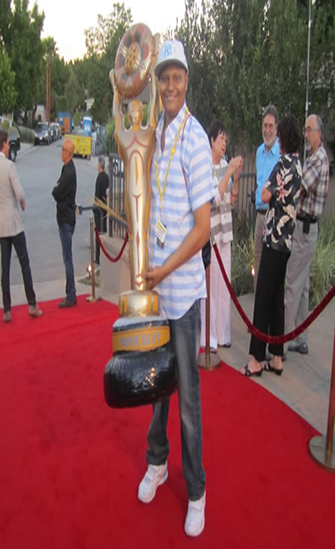 Chemo was started again weeks later, a month later I received my prosthetic leg. The first day after I received my leg, I walked with NO crutches! Now I am snowboarding. May 18, 2011 was my last chemotherapy treatment, a month later I attended my first sunshine kids event. We went to a water park, and I couldn’t believe how nice, generous, and totally awesome sunshine kids, volunteers, and staff were! I later went on a trip to Texas and other places where we did multiple activities. Not only is sunshine kids a wonderful way to forget your grueling treatment and cancer life, but you meet people you will never forget. My best friends were made through sunshine kid events. Friends that will last forever. On Monday, December 21, 2009 I was diagnosed with Acute Lymphoblastic Leukemia, otherwise known as ALL. After going through surgery and being bombarded with chemo, I ended up having to go back and forth to the hospital for a couple of months, since I was so sensitive to the chemo I was given. I can’t thank my family enough for all their love and support through these extreme times. After a year of constant problems in my body, I started to feel a little better, when my doctors told me that I was entering the maintenance phase. I had heard this phase was going to be a lot less aggressive and that I would feel a lot better, and thank God I did! My first summer with chemo was really hard, and I never really got a summer vacation. 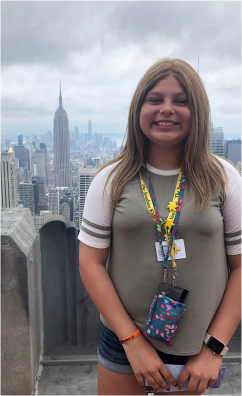 But by the next summer I started feeling better physically, less tired and more active than before, and that’s when I had received an invitation to attend the Sunshine Kids Summer Broadway Break in New York City. When I heard the news I was filled with extreme joy, I thought to myself, I wasn’t just going to be able to finally go out this summer, but I will be able to go out on an adventure for a week in New York! When my practitioner nurse told me that Sunshine Kids was giving me the opportunity to go to New York, I wasn’t sure what to think. My first thought was, “is this for reals?” Once I knew it was, I told them to sign me up for it, because I definitely needed a break! This trip will surely live in my heart for the rest of my life. I am so grateful to Sunshine Kids for making me feel special and helping me forget all the crazy stuff that was going on in my treatment. The best parts of the trip were probably being able to hang out with kids that have gone through similar experiences, and be able to talk and have fun with them, and what better place to do that than in New York? :) I had a lot of new experiences going there, like going to Broadway shows and seeing the beautiful statue of liberty. In 2009, I was diagnosed with Ewing’s Sarcoma, a rare form of bone cancer, in his left ankle. It was my love for sports that helped us detect the otherwise unknown tumor. After multiple injuries during baseball and football seasons and lots of tests, doctors informed me that it was a cancerous bone tumor and I was admitted to UCLA Ronald Reagan Hospital. Nine months of intensive chemotherapy and surgery for amputation was necessary for survival. Shortly after my surgery healed, one of our wonderful nurses told me about the Sunshine Kids Foundation and with the approval of my doctors, I was invited to go on the “The Mid-Summer Night’s Dream” in Long Beach, California. It was an experience I will never forget! This Foundation has helped me realized that there are people out there who really care about what kids with cancer are going through. They provide an outlet for children who are fighting cancer, so they can get together, draw strength to cope with their treatment and hope to keep fighting the fight. We realize that we are NOT in this alone! When I found out that I was chosen to be one of the 2011 National Sunshine Kids Foundation Spokeskids, I was beside myself. It was a great feeling, a true honor. I now have a chance to make a difference and to be a part of something big. Steven, is in remission, wears prosthesis, and is even sprinting with his new leg. He is currently a Junior at Rolling Hills Prep High School in Palos Verdes, California. He participates in the annual “Biking for America” 30-mile charity ride, plays varsity baseball, varsity football and has been featured in several local newspapers including an article in the U.S.A. Paralympics News. The Sunshine Kids was first introduced to me by my wonderful social worker. My first trip with the Sunshine Kids was on the Washington, D.C. Adventure in May 2010. It was just amazing to be able to bond with other cancer survivors that know what you’ve actually been through. All of the staff and volunteers were very nice. Most of the things we did were actually first time experiences! In June 2008, I was diagnosed with Acute Lymphocytic Leukemia. This is a cancer of the blood. After suffering fevers and cold chills, my father took me to the Doctor. During that whole process, doctors told me that I was looking so much better than the doctor ever expected! I just thank God for keeping me and being with me through this whole thing. Now, I am in maintenance and cancer free! I attend school, but I still attend a hospital visit for chemo once a month. WWhen my mother texted me and told me “I am so proud of you” I didn’t know what she was talking about. But when I got home, and she told me what she was talking about, I was so excited! My father told me that my God would open up so many doors for me...This is one great start! My first experience with the Sunshine Kids was in November 2010 when I was invited to attend the Florida Fun-N-Sun trip in Orlando, Florida. My experience in Orlando was indescribable. The staff and volunteers were extraordinary and made sure that everyone had a fantastic time. The Sunshine Kids foundation did what they do best, made cancer go away and replaced it with fun. The Orlando trip was the first time I felt truly independent since my diagnosis in October 2009. In the fall of 2009 I had been having severe migraines and nausea. After migraine treatment did not work, my doctor ordered an MRI. The scan revealed a mass on my brain. On October 29, 2009, after undergoing surgery to remove the tumor, I was diagnosed with high risk medulloblastoma. My treatment included 30 rounds of daily radiation with chemo followed by chemo every four weeks for six months. I finished cancer treatment in August 2010 and have been cancer free ever since. I know for certain that my positive attitude and the support of many was a huge factor in the outcome of my treatment. The Sunshine Kids foundation has been a positive influence on my life. Being able to spend time with people who have had similar experiences to mine is invaluable. The best part of any Sunshine Kids event is that everybody feels special and nobody feels different. That is why I am so deeply honored to have been chosen to represent this wonderful foundation as a spokeskid. I was diagnosed with Hodgkin’s Lymphoma on September 23rd, 2008. This was the start of a long, tough journey involving chemotherapy, radiation and stem cell transplants. Over the course of the next 2 1/2 years, I was in remission twice but my cancer returned after treatment stopped. My Riley Hospital social worker asked if I wanted to go on a Sunshine Kids trip to New York City in July of 2009. A trip to New York was high on my list of places to visit. The trip was fantastic and one of the best I’ve ever been on. I made so many friends that I talked with regularly and had so much fun with the kids and chaperones. I enjoyed my time with other Sunshine Kids because cancer was not an issue when we were all together. It’s one of the rare times that kids with cancer get to forget they are different. I was very involved in St. Baldrick’s, bone marrow drives, blood drives, dance marathons, and events that helped Riley Hospital or kids with cancer. The Sunshine Kids was one of my favorite groups though because I got to meet so many kids like me. When I was asked to be a 2011 National Spokeskid, I was so thrilled and excited. This was a chance for me to get more involved. The 2011 Spokeskids were such a close group in San Diego in March 2011. We completely enjoyed each other, had so much fun, and were so lucky to be chosen to represent such a great foundation. 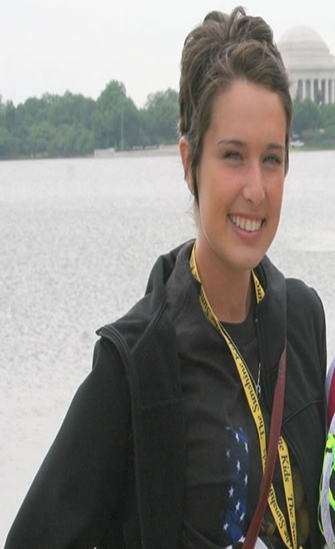 Katie returned to Riley Hospital for a second stem cell transplant in May 2011. 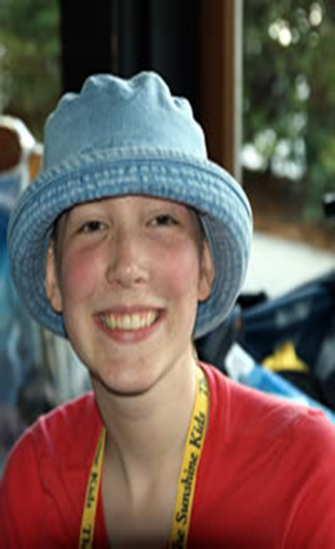 Katie passed away May 20, 2011 while recovering from her second stem cell transplant. Her funeral was attended by 4000 people at her high school, a testament to how many people she touched. My first experience with the Sunshine Kids was the Texas Hills County Adventure in June of 2010. To say this trip was extraordinary would be an understatement. Everyone from the volunteers to the organizers were fantastic and there was a comforting feeling participating in the incredible activities with people who had similar experiences with you. Everyone was kind and joyous and I can’t help but to feel lucky that I could be part of such an adventure. When I was told I was chosen as a SpokesKid for the Sunshine Kids I was very excited! I couldn’t wait to be a part of this amazing organization again. I can still remember my heart going thump…thump…THUMP When I heard the news! 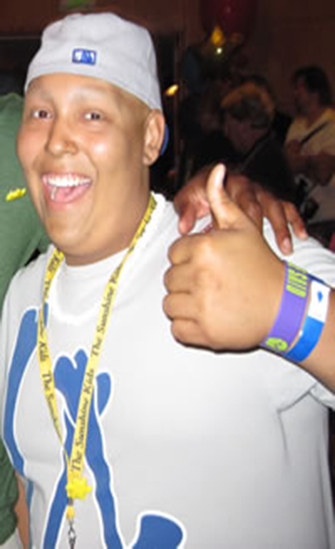 In September 2009 I was diagnosed with stage 4 Burkitt’s Lymphoma. I spent my entire grade 11 high school year at British Columbia Children’s Hospital in Vancouver. Thankfully the doctors and staff could not have been more wonderful. I have undergone 8 rounds of intensive chemotherapy and have been free of disease for close to a year now. I am currently finishing my final year of high school and plan to attend the University of British Columbia to study sciences and law. I’m back to my ordinary life- doing homework, hanging out with friends, watching movies and playing videogames. The Sunshine Kid’s is truly a fantastic organization. 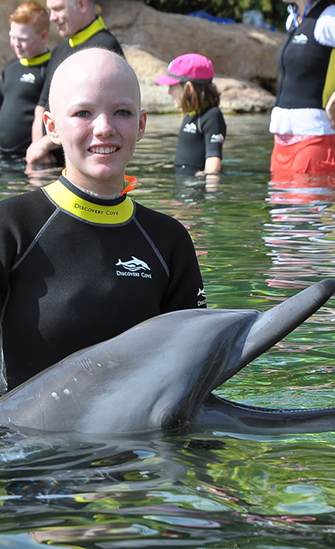 It does so many amazing things to children who really need a relaxing and exciting adventure. In Texas, I did so many things that I’ve always wanted to do like canoeing, tubing and zip-lining. Everyone had an amazing time and we all left with memories that will last a lifetime. To anyone that has the chance, I would recommend without hesitation being a part of this astounding organization. 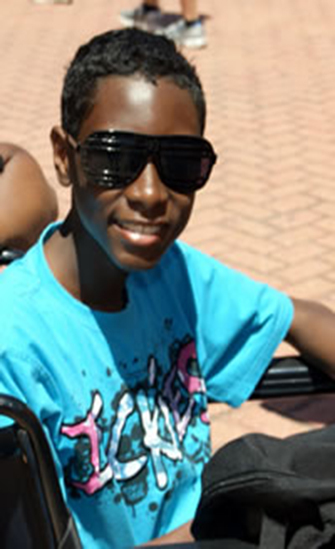 Geoffrey was diagnosed with Chronic Myelogenous Leukemia in January 2009. Before he was diagnosed he was feeling very fatigued and had no appetite for a couple of months. Then the symptoms intensified, which included stomach pains. He went to a walk in clinic for the third time after being misdiagnosed and then was sent immediately to the hospital. He takes 6 pills a day that kills his white blood cells and red blood cells to control it. He spent over 2 months in the hospital before things started to get better. 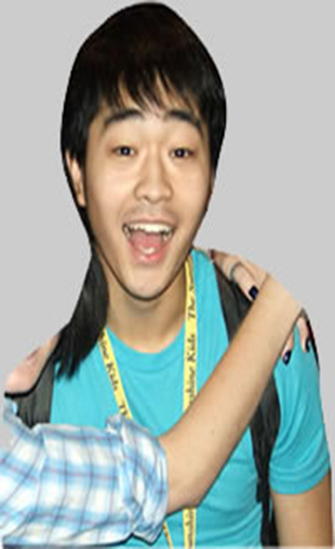 Geoffrey enjoys long walks on the beach, basketball, bowling, guitar, friends, and his family. He has two dreams in life; Finish school to become a teacher and meet Selena Gomez. Kyle is currently a Sophomore at Del Norte High School in Albuquerque, New Mexico. Kyle is very involved with his school activities. 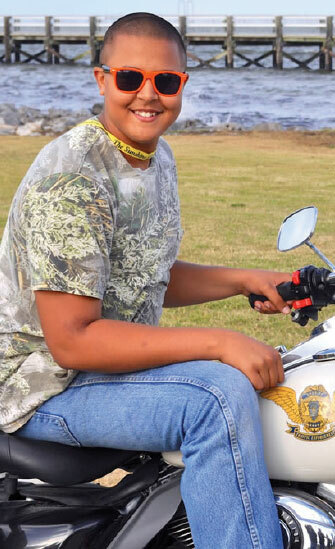 He loves to play volleyball, baseball, drag racing, photography and hunting with his grandfather. Kyle is also currently an intern for Michael Sanchez, the New Mexico State Majority Leader. Upon graduation he hopes to attend the University of Texas to study Communications and Political Science. Before my diagnosis in December 2008, I was very active in school and I was involved with many organizations and sports were my life. I played volleyball, basketball, and ran track. After my diagnosis I was not able to do any of those things, even attend school. 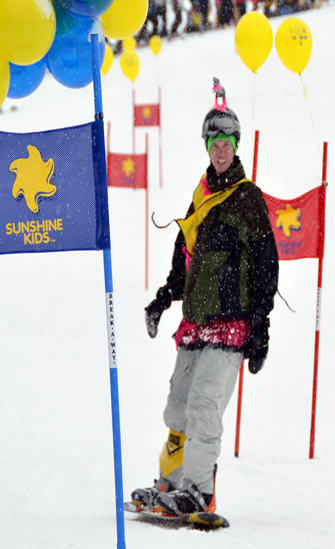 Then The Sunshine Kids asked me to attend the Sunshine Kids Winter Games in Steamboat Springs, Colorado which was the most exciting part of my cancer journey. I had just finished chemo and was scheduled to start radiation, so the hard part of my treatment was over and I knew that it was time to start looking forward. I knew that my sick days were close to over. This trip was an invigorating trip. I met tons of new people all over the country that were just like me or had been where I was; we went skiing, tubing, and enjoyed the natural hot springs. Because I had not been able to interact with people besides my very close friends and had not been able to take part in strenuous activities, this trip was very exciting. It is extremely important for people to know how important this organization is to us, and it is equally important for us to thank those that do make this organization possible. That is why I was so honored and excited to find out that I was asked to be the Spokeskid this year. I am looking forward to representing the Sunshine Kids as well as giving those who are still under treatment hope because I have been in remission for 7 months now and besides being a National Spokeskid, I am back to my regular life. 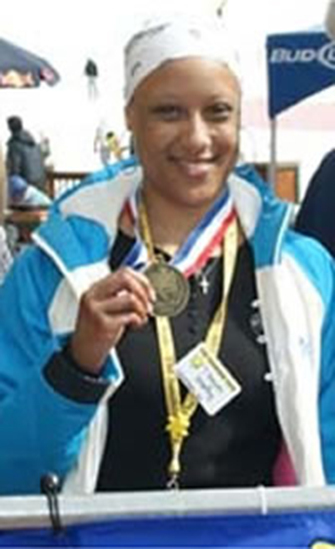 Jeannette was diagnosed in 2008 with Nasoparhyngeal Carcinoma. After 2 years of hearing loss and extreme headaches the doctors were unable to diagnose her. 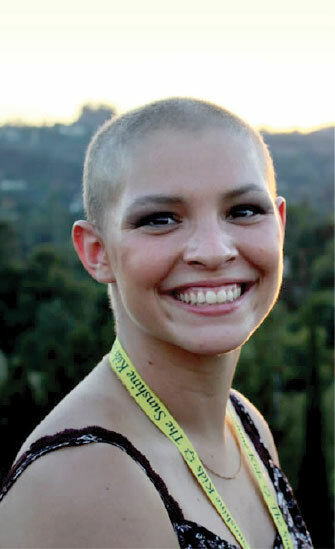 Then in April 14, 2008 she was diagnosed with a brain tumor. She started intense treatment at Montefiore Medical Center in Bronx, NY. She went through 6 months of chemo and 39 sessions of radiation. Jeannette was active in sports before her diagnosis but for her 15th birthday she received a guitar and began playing in her hospital bed. Now her passions are reading, playing the guitar and singing. “It's been months since I was announced in the clear, but I'm still in remission. I still have those days where I have to head off to the hospital because I can't eat for nausea or my throat's swollen closed but I'm alive and cancer-free now and I know to appreciate my life. Katie’s first experience with the Sunshine Kids was the 2007 Texas Hill Country Adventure. “It was amazing. We went to Schlitterbahn Water Park, Sea World, tubing down the Rio, riding through the Hill Country on Harley motorcycles and waterskiing at Texas Ski Ranch. The fun was endless. This was a very important step to start healing emotionally. During the treatment and recovery time, it can be very isolating. So this gave me the opportunity to be with kids that understood how I was feeling. 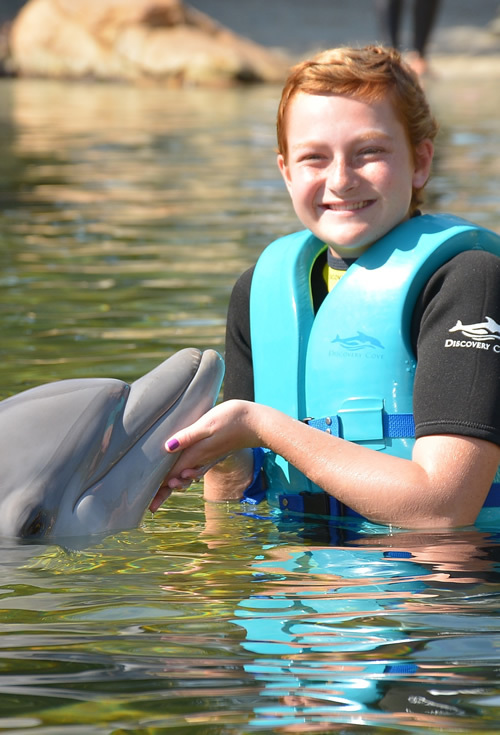 These trips let us just have fun and be normal.” Katie has also attended the 2008 Florida Fun-N-Sun Celebration and several regional events in California. 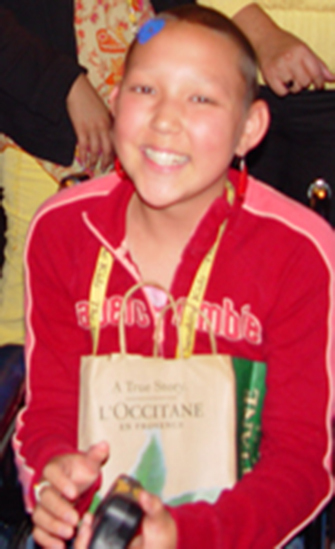 Katie was diagnosed with Pre-B Acute Lymphoblastic Leukemia on August 24, 2005 at the age of 13. She completed her chemo treatment Dec 28, 2007. Unfortunately 8 months later she was diagnosed with an autoimmune disease called Dermatomyositis. This left her with 10% muscle damage and in severe pain. Katie has the attitude that although she might not be happy with what she was going through she knows that she is not alone. 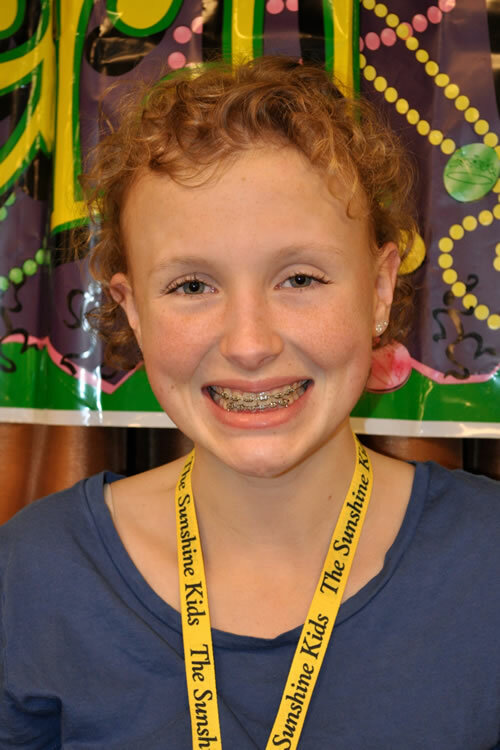 Katie looks forward to many more Sunshine Kids events, Regional and National. She enjoys motorcycle riding, soccer, traveling, going to the beach, camping, Disneyland and art. Katie would like to continue her education and one day become an Onocolgy nurse. James first experience with a Sunshine Kids trip was on the 2007 baseball spring training trip. "The trip was great, but the best thing about it was being able to spend time with other kids who have cancer. My friends and family are great support, but there is no one to relate to like someone who has been through what you are going through. Now I go on every trip I get the chance to." By the age of 13, James was an accomplished junior tennis player, and wanted to play at least division I college tennis when he got older. Unfortunately, that was the same year his doctors discovered that some pain and swelling in his left leg was more than just the typical problems of a teen athlete with growing pains. 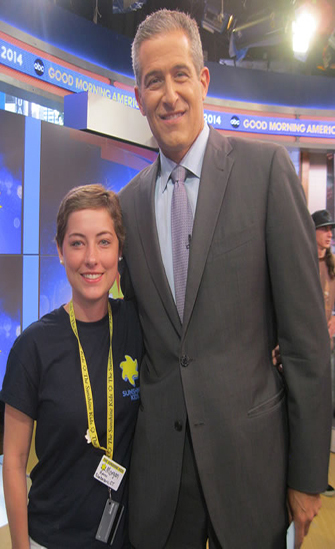 It was a bone cancer called Osteosarcoma - a disease that typically strikes teen or preteen athletes in a growth spurt. James went through 4 months of chemotherapy. Following that they removed a large portion of his left leg and replaced it with metal implants. At that time, they told him he could not play tennis anymore, but he could play golf if he wanted to. After his surgery in the fall of 2006, he remained on chemotherapy, but was able to begin playing golf in February of 2007, after several months of painful therapy to get motion in his leg. He worked hard enough at it that he made the varsity golf team as a freshman in September of that year. He is also popular in his school and has been class president every year since then. 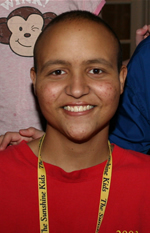 Unfortunately, in October of his freshman year, he had a recurrence when the Osteosarcoma metastasized to his lungs. Since that time, he has had nearly every treatment available but he continues to have recurrences. The life that kids who have cancer face is really something so devastating that it is beyond understanding until you experience it. Although invited, I skipped several trips because I was not ready to fully deal with having cancer. After my first trip, I became a Sunshine Kid and have been one ever since. Some of the perks that Sunshine Kids are blessed with, other than the trips and meeting and helping each other, are meeting great people like Craig Biggio and the crew from "The Closer". Great bunch of people! Sunshine Kids also give us a brief rest from those trials from time to time - an opportunity to spend time with others going through the same nightmare in a fun, carefree atmosphere. Sunshine Kids has helped give me the strength to keep fighting through the grueling treatments, and I want to do anything I can to be a part of that." 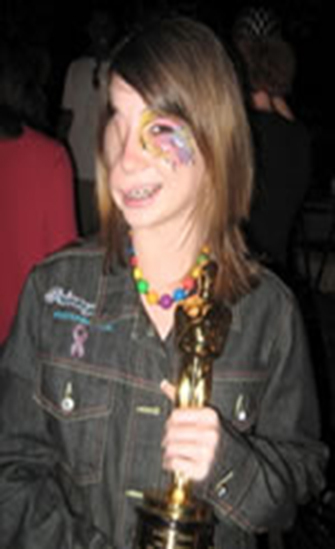 Ashli Cooper’s first experience with Sunshine Kids was her invitation to attend the 2007 California Fun-Time Fantasy in Los Angeles, California. “I loved being able to see the play “Wicked” and visit Malibu Beach. 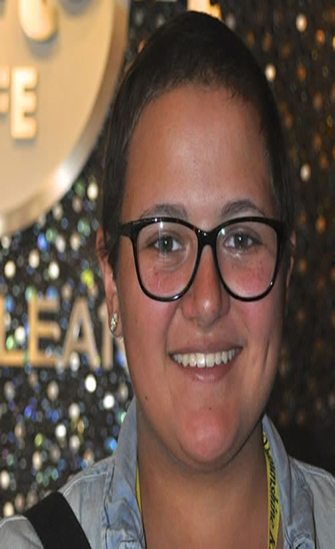 I had never been to a beach like that before.” Ashli has also attended the recent SpokesKid Reunion in New Orleans, Louisiana and looks forward to representing kids with cancer everywhere on many future events. A freshman this year at Colorado High School in Colorado City, Texas, Ashli hopes to become involved in Theater, Track, Cross Country, Journalism and National History Day. Her hobbies include swimming, running, listening to music, playing the flute and chatting with friends on My Space. A natural for public speaking and the ability to captivate people, Ashli also served as a Spokesperson for Make a Wish Foundation in 2002. At Roselle Park High School Zach is President of The Performing Arts Club, the Creative Arts Club and on the Executive Board of the school’s Student Council. In addition to his full school schedule and Sunshine Kids travels, he is very active in local theater. He was awarded a 2006 Rising Star Award Nomination by Papermill Play House and a 2007 Perry Award Nomination by The New Jersey Association of Community Theater. He has starred in many local theater performances and played the role of “Gordon” in the major motion picture “School of Rock” starring Jack Black. Zach plans to attend The New Jersey Governor’s School of The Arts Summer program with a specialization in theater. "Being a Sunshine Kid has made me so happy," said LaToya Simon, a sophomore at Western High School in Las. Vegas, NV. "The only sad thing is that if I never got sick I would’ve never met any of these nice people." Diagnosed with Leukemia ALL in 2003, LaToya is an amateur cartoonist and poet, LaToya was a participant of both the New Orleans Mardi Gras and the Texas Hill Country Adventure. “These trips were the best things to ever happen to me,” she said. “I thought I was gonna be miserable going through all that chemo and stuff but the SSKids made it the best years of my life. "Still undergoing treatment when she sent on the New Orleans trip, arrangements were made so that LaToya would only have to take a minimum amount of medication while on the trip. Being able to talk to other young people who were dealing with the same issues turned out to be the best medicine of all. She especially liked the fact that she didn’t have to explain her situation repeatedly to her new friends. “The SSKids already know what I am talking about so it’s great to be around them,” LaToya explained. “That has helped me to talk to more people without being so shy and thinking what they’ll think about me. ” As a SpokesKid, LaToya hopes to spread the mission of the SSK Foundation and what it means to young people with cancer. 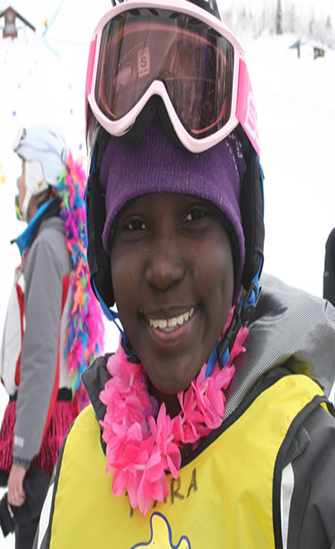 In the future, LaToya hopes to overcome her fear of heights by snowboarding on the big slopes and she wants to become a cartoonist and video game designer. She is the daughter of Catrina Rena Phillips and Michael James Simon, Sr. and she has six siblings: Michelle, 14; Quan, 11; Capricia, 9; Monique, 9; Michael, Jr., 7 and Cedric, 6. LaToya is grateful for the opportunity to represent the SSKids for the next year. “Out of all the Kids you could’ve picked you chose me,” she said, adding, “I guess it kinda shows that just like I’ll never forget any of you, you guys never forgot about me and that means a lot! Thank you from the bottom of my heart." 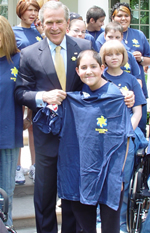 A friendship forged on a Sunshine Kids trip made a lasting impression on Nick Reyna of Rocky Hill, CT, and is the reason why he agreed to be one of the SSK SpokesKids for 2007. It was on a SSK trip to Washington, D.C. that Nick met Matt, who was his roommate on the trip. 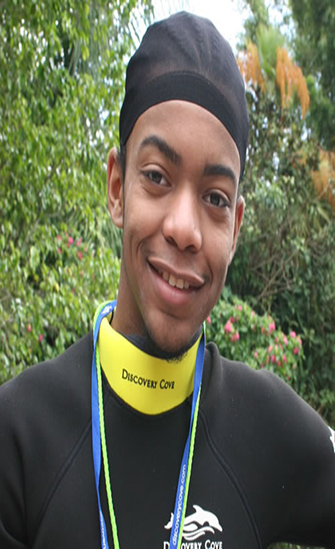 Matt, who was still undergoing treatments at the time and therefore in a wheelchair, decided that he didn't feel up to participating in one of the activities. Nick stayed behind with him and the two of them spent the day watching movies and hanging out. “Even though Matt had a sort of rough time, he told me he thought the trip was a lot of fun,” Nick said. “On the last day of the trip as me and Matt were saying our good byes, he told me if he were to die soon he would have been alright because he had a ton of fun on the trip.” Unfortunately, about a week later Nick got word from Matt's family that he had passed away. Nick's own cancer battle has resulted in numerous health problems, but it doesn't hold him back from experiencing all that life has to offer. “Being with other people with similar problems to me helped me in remembering how precious life really is, and to cherish and live life to the fullest every moment of every day, because you never know when it will end.” Throughout the next year, Nick hopes to inform people of the opportunities he experienced as a SSKid. A senior at Rocky Hill High School, Nick's hobbies include photography and spending time with his friends. 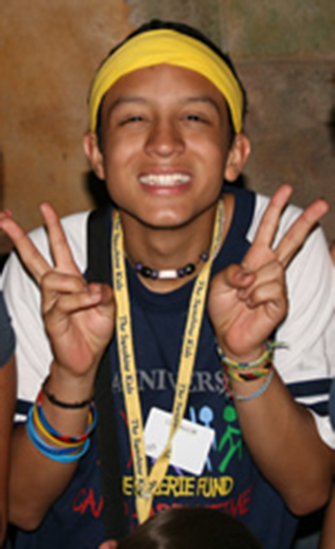 He is the son of Tony and Maria Reyna and he has a sister, Lindsay, 14; and a brother, Andrew, 20. “School is my life and music is my passion,” said Ryan Caron, a 16-year-old junior at Cedar Park High School and one of three Sunshine Kids chosen to be SpokesKids for the SSK Foundation for 2007. “I am excited about prospects of getting out (of school) and going on to college,” Ryan explained. “I live for (school) – academics, sports, theater, choir – everything. If it was not for school I would not be the person I am today." 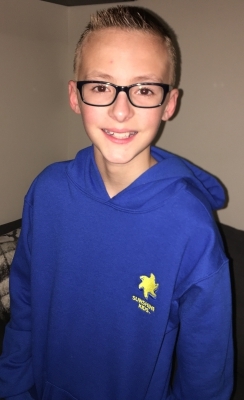 Diagnosed with osteosarcoma in May 2001, Ryan had his first surgery on his 11th birthday. 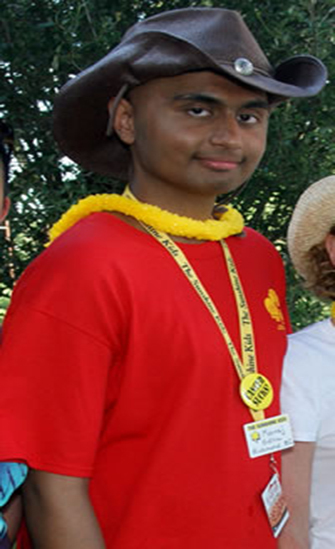 A participant of two Sunshine Kids trips -- one to Orlando, Fla. in 2004 and the Los Angeles trip in 2006, he takes pride in his association with the SSK Foundation. Over the next 12 months, Ryan hopes to share his experiences as a SSKid with others – especially those whose contributions make the trips possible. “Music is my passion,” he explained. “I sing, play a little bit of piano and play bass – my voice and bass are my strong suits,” he added. Ryan credits his close-knit family – mom, Rachael; dad, Howard; and sisters Michelle and Shannon; as well as his cousin Marceles and his maternal grandmother for getting him through his ordeal. He would like to study aeronautics or music education in college, possibly at Texas State University in San Marcos. “I want to thank every single person who works, or volunteers for the Sunshine Kids, because some of us would not be here if it was not for you,” he added. Thirteen-year-old Katie Vaught of Manteca, CA fills her days with eighth grade class work, playing tennis and sewing. This coming year she will add being a Sunshine Kids SpokesKid to her activities. 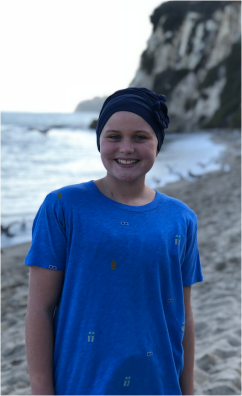 Diagnosed with Malignant Fibrous Histiocytoma in September 2004, Katie was in and out of the Lucille Packard Children’s Hospital on the Stanford University campus over the next nine months. She underwent six rounds of chemotherapy and surgery to amputate her left leg below the knee. The summer of 2005, Katie went on the SSK trip to New York City where she took in two Broadway shows and the Blue Man Group and stayed in the Westin Hotel, where the designers on her favorite show, “Project Runway” show now stay. “I still keep in contact with most of the girls (on the trip) and we plan to visit each other soon,” Katie explained. “It was great because some of the kids had the same problems as me.” Katie even had to overcome navigating the Big Apple without the aid of a prosthesis, which she now has mastered. In the future Katie hopes to go to college and eventually become a fashion designer. She is supported by her parents, Don and Aecha, and siblings, Tiffany and Chris and the family dachshund, Dixie. 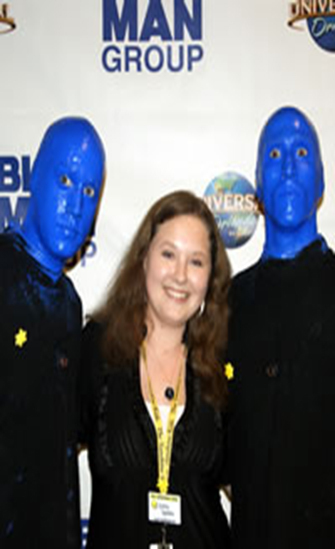 Mary Billington has been a cancer survivor almost since birth and during 2006 she will share her story and experiences as the 2006 Sunshine Kids Spokeskid with supporters and volunteers across the country. The Brooklyn, New York teen was first diagnosed with Retinoblastoma at the age of six months. “I underwent a month of radiation treatment and although the cancer caused severe visual impairment (legal blindness), I was perfectly healthy for 11 years,” Mary explained. 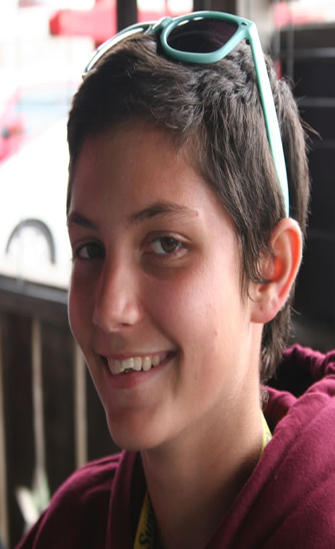 At the age of 12 she was diagnosed with Osteogenic Sarcoma in her right sinus. She endured a 14-hour surgery in which her right eye had to be removed followed by a year-long protocol of chemotherapy. A month later she underwent a successful open heart operation to remove the tumor and as a precautionary measure underwent a year-long protocol of chemotherapy, at Memorial Sloan Kettering Caner Center in New York. 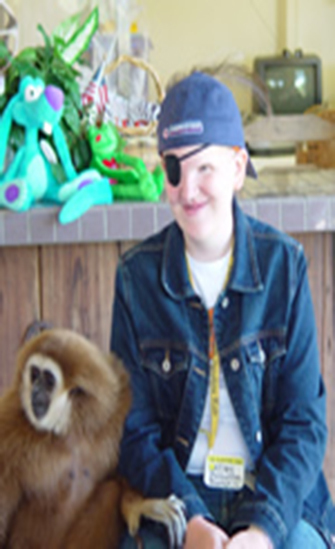 Her last bout with cancer landed her on a trip to the Sunshine Kids Texas Hill Country Adventure in 2003. “It was a bit extreme but it was what I needed to feel like a normal teenager again.” She explained, adding that the best part of the trip was the people she met from the Foundation staff, nurses, volunteers and other Sunshine Kids. Sharing her experiences as a Sunshine Kid will be Mary’s role as a SSK SpokesKid in the coming year and she hopes to effectively communicate the organization’s message and mission. A senior at NYC Lab School for Collaborative Studies, Mary plans to attend college and to study either education or psychology and hopes to become a teacher some day.